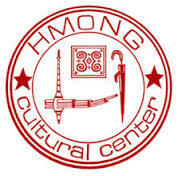 The Hmong Resource Center Library at Hmong Cultural Center is the site of perhaps the most comprehensive collection of Hmong-related literature, scholarly research, and multimedia materials in North America. ​Established in 1998 and located in St. Paul, MN, the Hmong Cultural Center’s Resource Center is one of the most comprehensive centralized collections and lending libraries of Hmong-related books, PhD dissertations, indexed articles and Hmong-language literature in the United States. The collection also includes several exhibits of Hmong cultural artifacts. It is the mission of the Hmong Resource Center to promote cross-cultural awareness and understanding between Hmong and non-Hmong people. English language biographies of Hmong-origin individuals, accounts of the Secret CIA War in Laos, as well as academic-oriented books. Approximately 400 Master's theses and PhD dissertations pertaining to Hmong history, culture and adaptation. Over 3,000 fully indexed Hmong-related newspaper articles from the two daily Twin Cities newspapers and Twin Cities area ethnic newspapers. Approximately 200 books printed in the Hmong language, including folktale collections for adults, and manuals of Hmong funeral rituals and courting songs. Over 900 academic journal articles organized by topical sub-areas. Over 300 colorful storybooks written in both Hmong and English. The collection also includes bilingual Somali and Karen storybooks. The Hmong History Center Museum and Resource Library are located at 375 University Avenue #204. ​The Hmong Cultural Center can make accommodations for persons with disabilities including the usage of an elevator to access our offices.